I’m Andrew Newman, the club’s chairman. I lead the volunteer management committee that oversees the operation of the club and is ultimately responsible for ensuring the club meets the needs of its members and complies with relevant regulations. I’m a husband, dad and geography/data geek. I’m a senior manager at the Department For Environment Food and Rural Affairs (Defra) where I help lead our Data Transformation Programme. I have two sons who regularly use the club, at both the infants and juniors. I’m Tony Dobson. 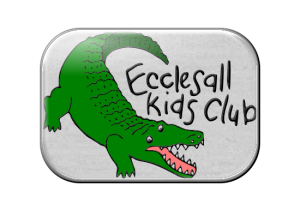 Together with a friend and neighbour I started Ecclesall Kids Club in 1995 and have been a member of the Management Committee ever since. My daughter was at the Club on its first day whilst in Year 1- she is now 27! I’ve been involved with schools in a number of roles over the years: I’ve been a governor at Ecclesall Infants and Bents Green School as well as Chair of The Ecclesall Schools parents association. Prior to my current job I worked in a support role at High Storrs School. I am currently the practice manager at the PDSA which is a veterinary charity. I’m Julie Eades. I have 2 children who attend the after school club, one at the infants, and one at the juniors. I have worked as a physiotherapist on a spinal injuries unit for the past 10 years.I have developed a good understanding of how to ensure safe practice, good communication, implement change and supervision. I have been on the committee for 2 years and are able to use many of these skills in helping to develop the club. At present I am supervising the manager and Buddying staff. I’m Alex Miller. I have a daughter currently in year 2 and a son who I expect will start in reception in September 2017. I’ve used kids club since my daughter started in reception and joined the committee in November 2014. I’ve recently become a governor at the infant school. Away from school I’m a civil servant working at the department for education where I’m responsible for the collection and publication of data about the education system.